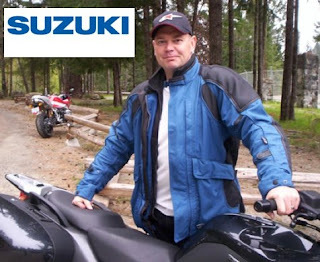 Motorcycle Experience has been produced and hosted by David Hatch since 1989. In the beginning it was know as the Motorcycle Rider. The name may have changed over the course of those twenty years but the show remained dedicated to motorcycling in North America. The 20 year mark seemed like a good time to compile the very best of two decades worth of rider tips that are featured on every episode. The result is a two-hour DVD with over 30 riding tips and advice that first aired on The Sports Network, and is aimed at helping riders to improve their open road skills. The selected "Shifting Gears" segments feature Dave Hatch himself and Canadian superbike road racing champion Clint McBain. The DVD is full of practical advice for real-world riding and can be yours for $19. The DVD is available exclusively at your local Suzuki dealership.